These delicious, creamy make-ahead mashed potatoes are a crowd-pleasing side dish and perfect for your holiday entertaining. It’s definitely not a diet food, and not something that you would serve every day, not that I wouldn’t love to have it every day. In fact, unfortunately, I’ve never met a mashed potato dish that I didn’t love. But for special occasions, it’s perfect! I have never served it that someone didn’t ask for the recipe. I know you are wondering what makes this tasty make-ahead recipe different from all the rest? Well, it has two secret ingredients that make it super simple and quick to make. The first secret ingredient is a bag of frozen mashed potatoes. That’s right, no peeling or cutting up of potatoes. Just pop the package in the microwave and mash! It couldn’t get any easier. I do have to mention that around the holidays, it sells out quickly at the grocery store. So, if your store does have them, my suggestion is to buy several packages and keep in the freezer until you need them. 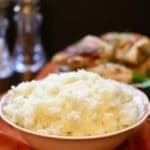 If you like decadent potato side dishes, you might also like these recipes: Easy Rustic Mashed Potatoes for Two, Twice Baked Potatoes Three Ways, and Pancetta and Rosemary Mashed Potatoes. 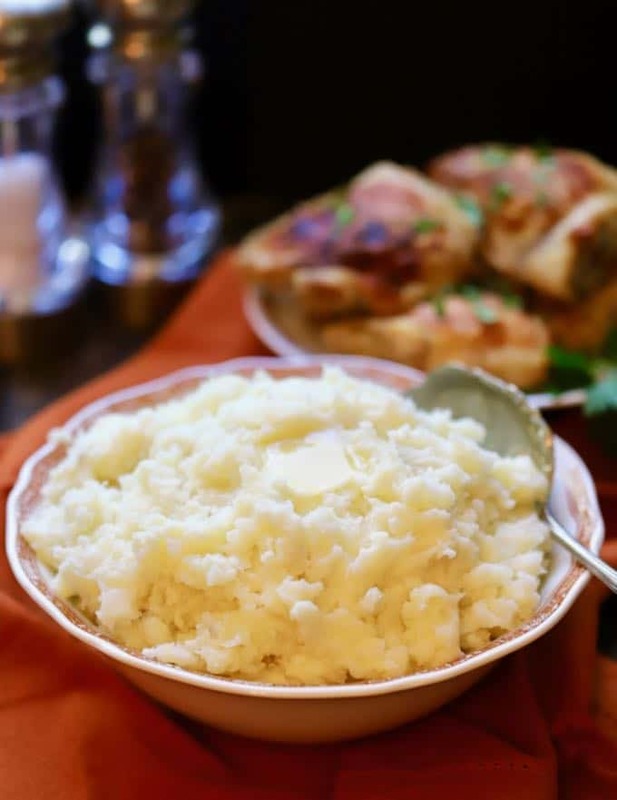 The ingredients for this creamy make-ahead mashed potatoes dish includes frozen Steam N’ Mash Cut Russet Potatoes, milk (you can substitute half and half, or if you really want to be bad heavy cream), sour cream, cream cheese, salt and pepper, and butter. 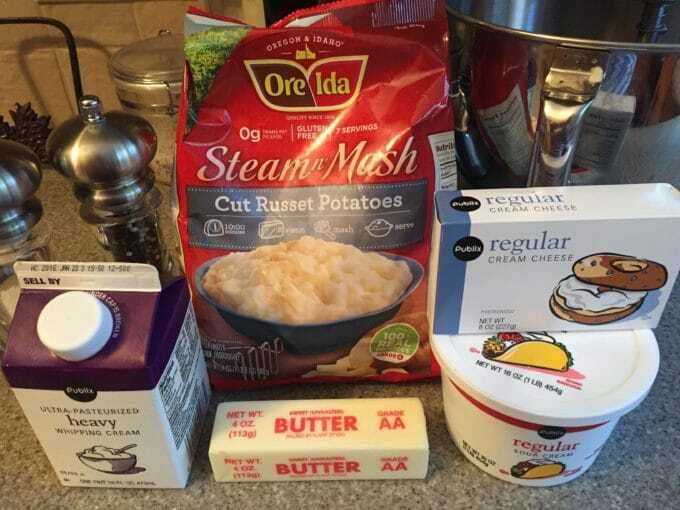 To make creamy make-ahead mashed potatoes, simply follow the directions on the package of frozen potatoes and pop in the microwave for 10 minutes. 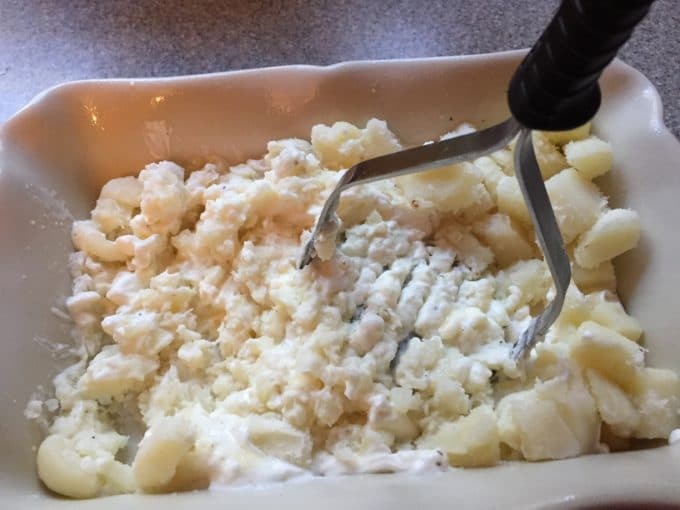 After the potatoes have cooked, allow them to stand without opening the package for a few minutes and then pour the contents of the package into your dish. Using a potato masher, mash the potato mixture until it is smooth. If your potatoes are too stiff, feel free to add a little more milk. At this point, they are ready to serve. However, if you are making these mashed potatoes ahead, simply cover tightly with plastic wrap and refrigerate up to 3 days. To reheat them, take out of the refrigerator about an hour before you are ready to bake to allow them to come to room temperature. When you are ready to reheat, bake in a 350-degree oven for approximately 30-35 minutes or until they are thoroughly heated. 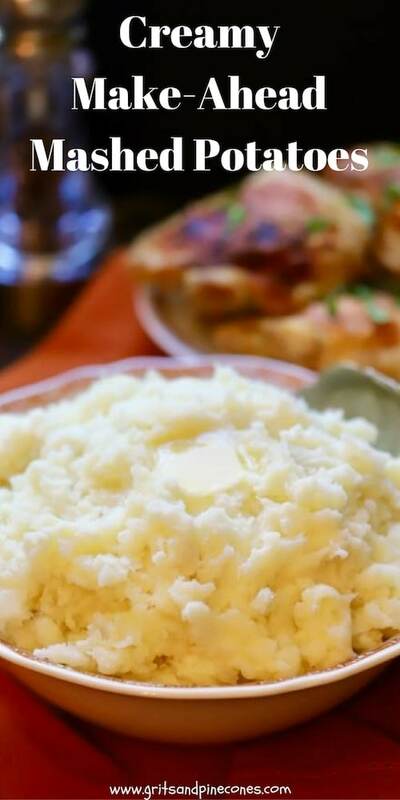 Check out this easy recipe for Creamy Make-Ahead Mashed Potatoes and find out how to make everyone's favorite side dish, delicious and decadent, homemade mashed potatoes in 15 minutes. Follow directions for cooking the frozen potatoes on the package. Cook 10 minutes in microwave and let stand 2-3 minutes. 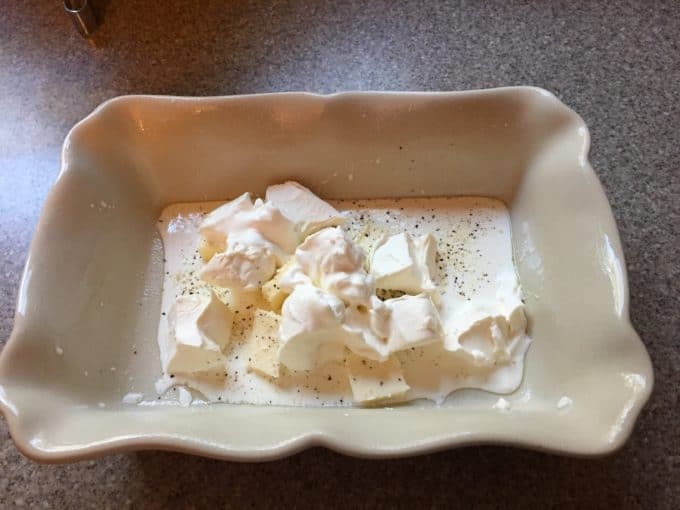 Meanwhile, add 1/2 cup milk, half and half or heavy cream, sour cream, cream cheese, butter and salt and pepper to a medium-size casserole dish. Add the cooked potatoes and mash well. If the potatoes are too thick, add 1/4 cup milk and mix again. Serve immediately. 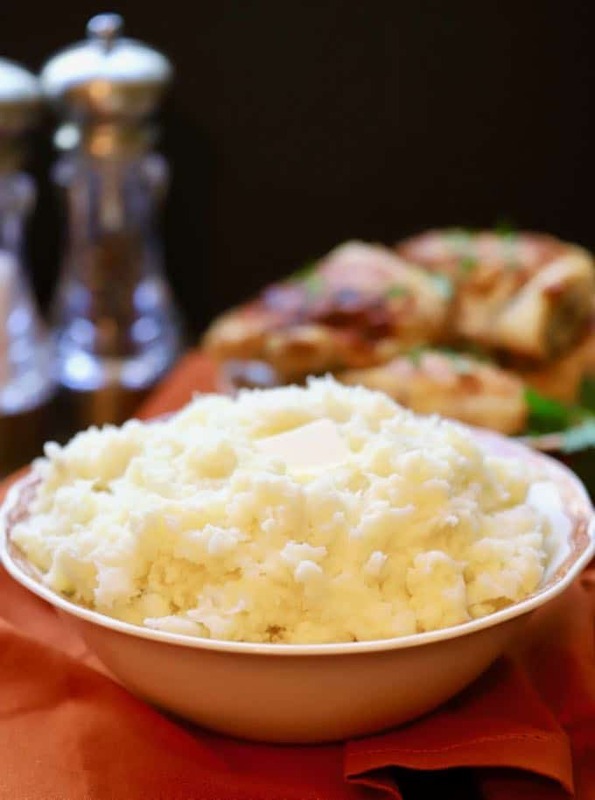 To make the mashed potatoes ahead of time, place them in an oven-safe baking dish, cover tightly and refrigerate for up to three days or until you are ready to reheat them. To reheat, remove from the refrigerator about an hour before you want to put them in the oven to let the potatoes come to room temperature. I had these potatoes and they awesome! Thank you so much for taking the time to leave a comment! I’m so glad you enjoyed the mashed potatoes!